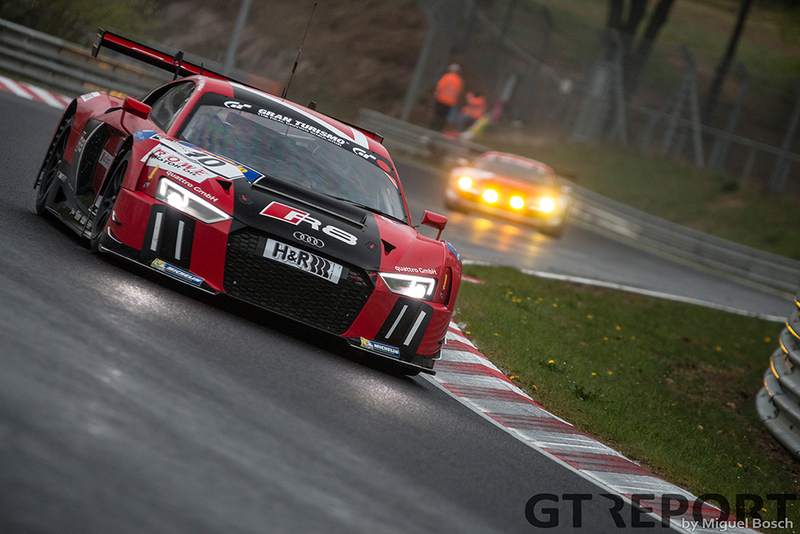 It didn’t take long for the new Audi R8 LMS GT3 to establish itself as a winner: just seven weeks after its presentation in Geneva, WRT brought the German manufacturer their very first win with the R8 Mk. II. The victory in the second VLN race of the season at the Nürburgring came courtesy of a stellar drive by Christopher Mies and Nico Müller. 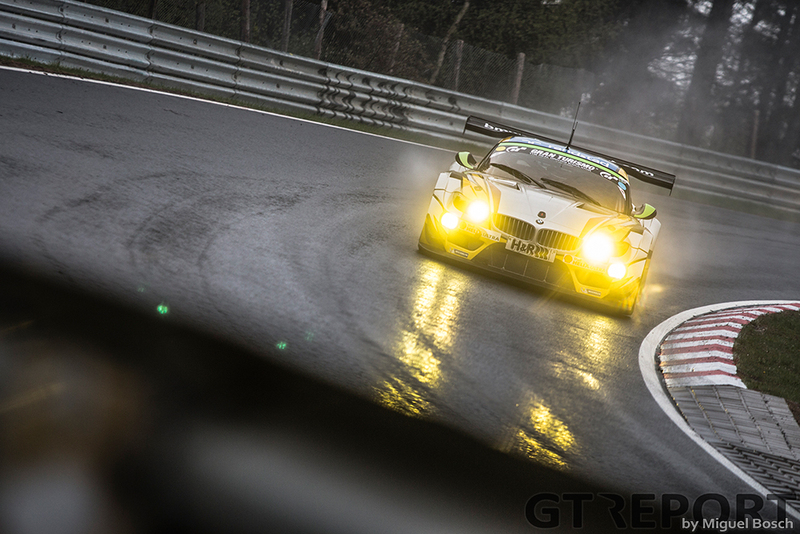 Race day started like it so often does at the Nürburgring: dry for the start of practice, then came the rain. 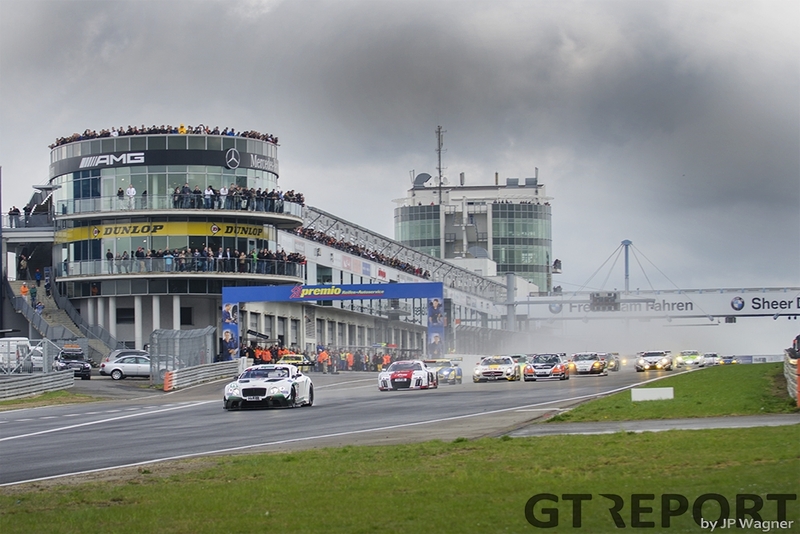 The result was a scrambled starting grid for the fortieth running of the DMV 4-Stunden-Rennen. 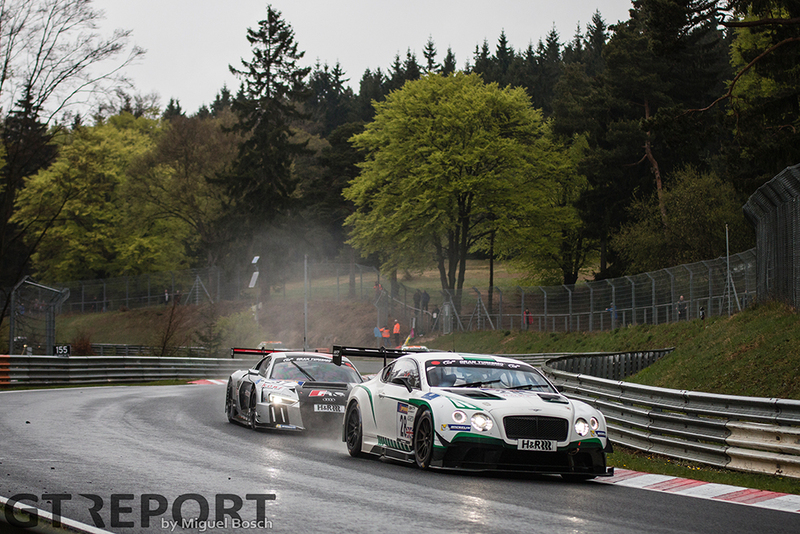 Starting from pole position was HTP’s Bentley Continental GT3. 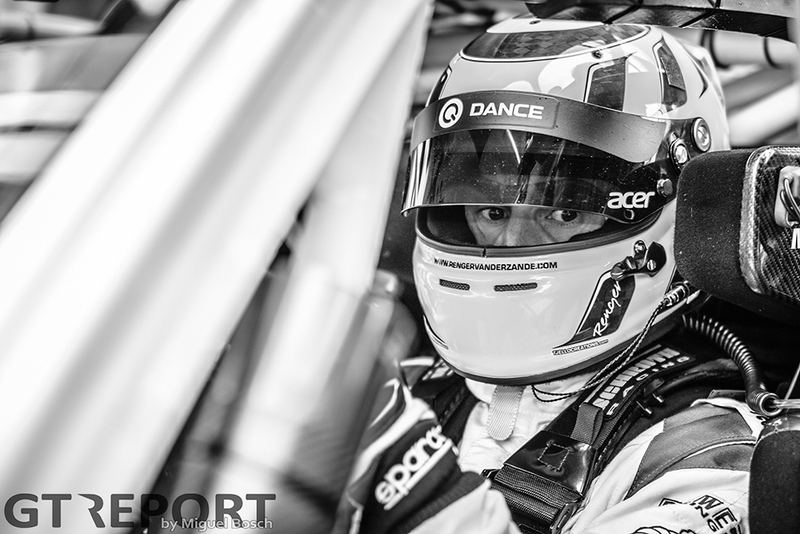 Consolidating his well-earned first starting position, Lance David Arnold was first onto the Nordschleife. The Duisburger soon discovered slick tyres were the way to go on the drying surface, deciding to change tyres at the end of lap one. 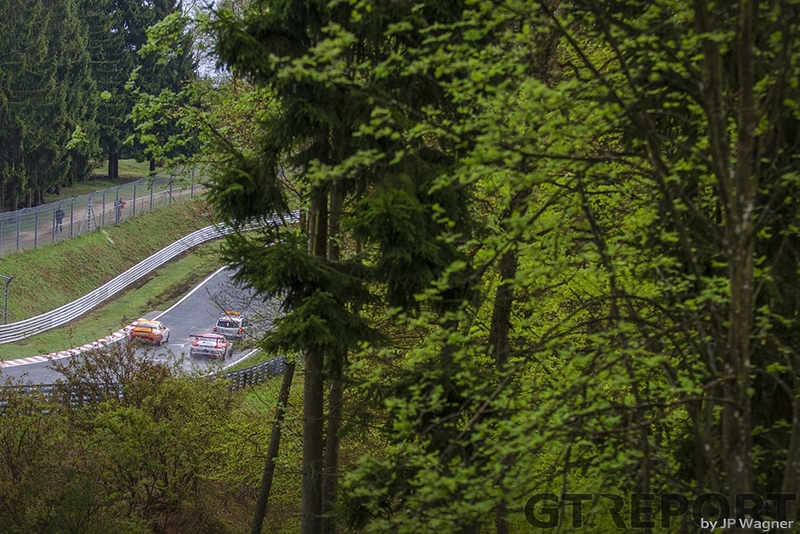 With most of the GT3 field following Arnold into the pits, the stage was set for a thrilling four hours. Not so much for Renger van der Zande and Jaap van Lagen, though. The teams of the two Dutchmen were caught out by the rain in the morning practise and had to start from the middle of the field. 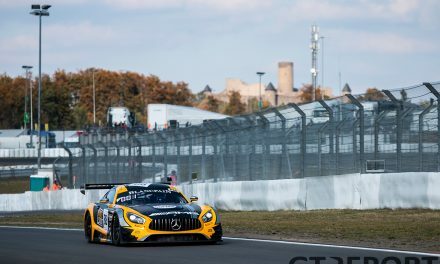 Arriving at Hohe Acht for the second time, the two hit each other, forcing both the Rowe Racing Mercedes-Benz SLS AMG GT3 of Van der Zande and Van Lagen’s Black Falcon SLS AMG into retirement. 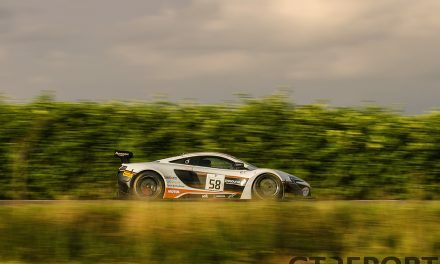 Coming from fourteenth place, Christopher Mies charged to the front in the opening hour, not being held up by battles and avoiding the traps that the Nordschleife usually presents to drivers. Making up eleven positions, the WRT pilot was already in the hunt for the lead, chasing down teammates Laurens Vanthoor and Pierre Kaffer in the sister R8, and the Rowe Racing Mercedes-Benz SLS AMG GT3 of Christian Hohenadel, Klaus Graf, Nico Bastian and Thomas Jäger (the Mercedes-AMG Thomas Jäger from Münnchen, not Austrian BMW youngster Thomas Jäger), who had taken over the lead after the first round of pitstops. 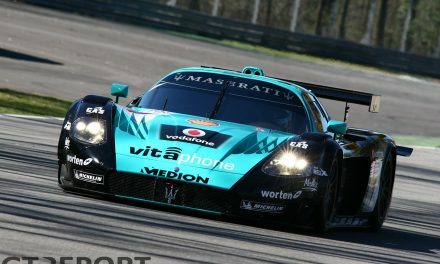 In the hours that followed, a three-way battle between the two Audi’s and Mercedes-Benz emerged. 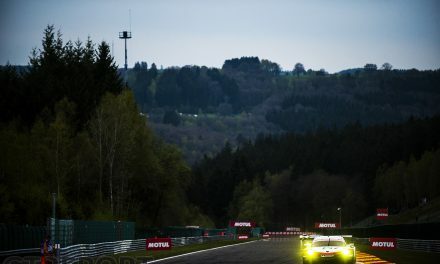 As the rain made a second appearance an hour and a half before the finish, the lead had already changed hands several times between Mercedes-Benz and Audi. Then came go-time for Nico Müller. The VLN debutant put down several fast laps while still saving enough fuel to put himself out of need to come in to the pits during the last round of pitstops. As the chequered flag flew, 23-year-old Müller had built up a gap of nearly one and a half minute. Vanthoor and Kaffer, meanwhile, managed to get past Rowe Racing during the last pitstop, affirming that the new R8 is not giving up on the winning-ways of its predecessor. 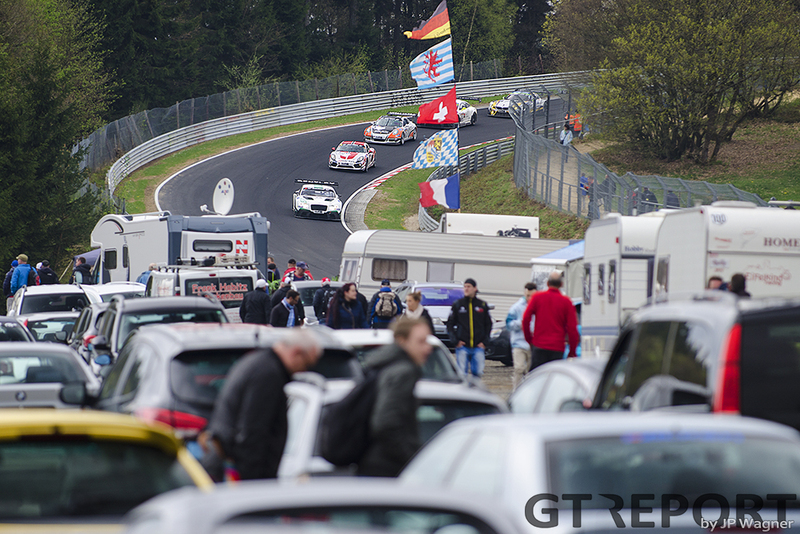 With the finish of VLN2 also came an end to the last opportunity for teams to prepare for the Nürburgring 24 hours in competition. 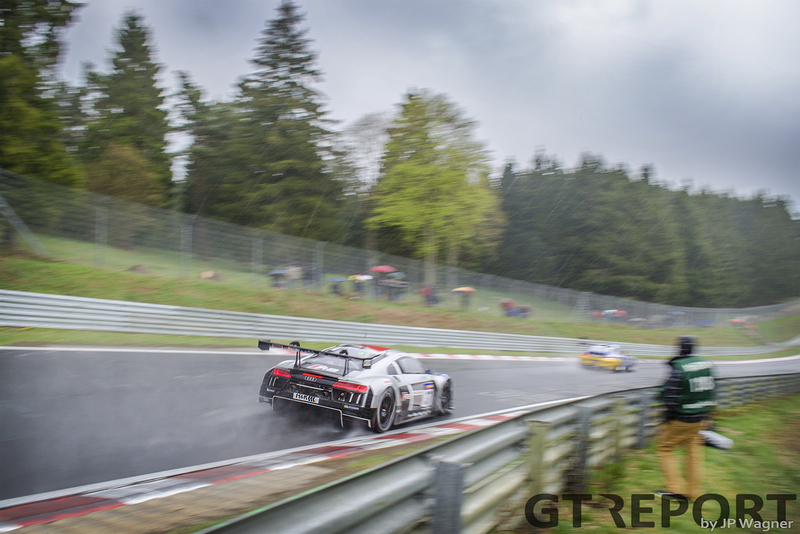 Whatever the weather brings us during the twice-around-the-clock in May, the laps in the rain today were well worth having as rain in the Eifel is a given during the month of May.